After taking our Introduction to kiteboarding on land, you are now fully ready to jump in the water and on the board! Flying the kite in the water is slightly different than on land, so we will practice flying the kite in shallow water, performing safety and self rescue exercises. We will also have fun while using the body as a board to understand the power of the kite in different positions. 8. 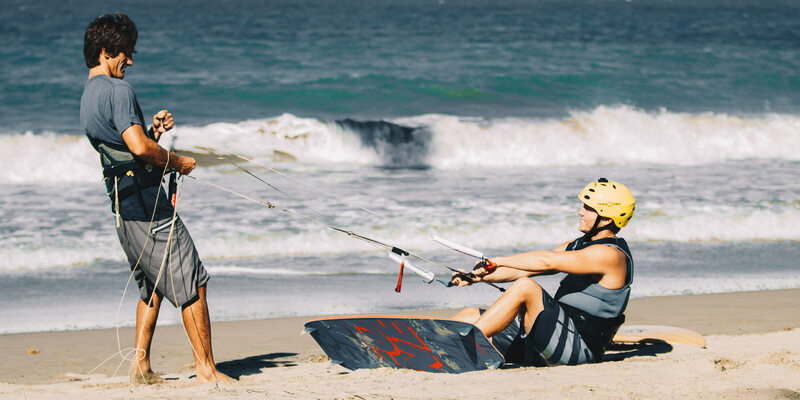 A series of exercises will explain you how to relaunch your kite when it crashes in the water and how to handle specific situation while kiting. 10. Now that you can manage the kite it is time to get up on the board and start riding!! This is the ultimate step where you will get up on the board, start surfing, start edging the board and going upwind. 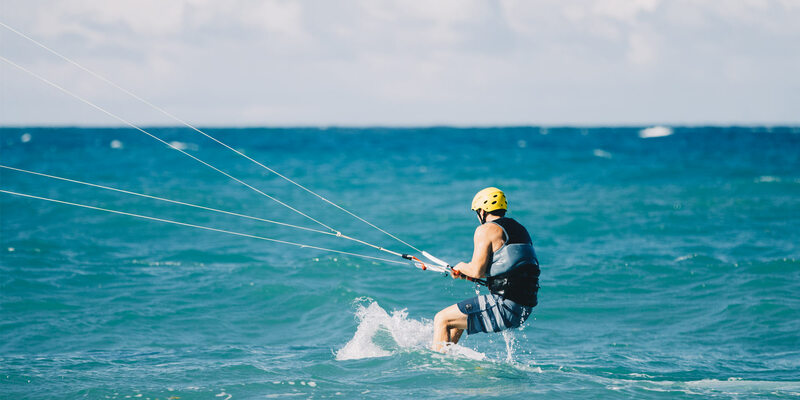 For this course, Liquid Blue Water Sports Center will provide you with all the equipment and gears such as appropriate size kite, board and harness. We suggest you to bring your swimming clothes, water, sunglasses, t-shirt, and sun cream. Consult and Book Your Beginner Lessons!